Reports of a global wine shortage in the near future caused by demand outstripping supply provoked outcry earlier this year, even though numerous wine organisations subsequently dismissed the idea. The growing demand from emerging markets such as China and India, combined with recent poor harvests, has reinforced the impression that the wine industry is under pressure. Zapraszamy do zapoznania się z ofertą kosz prezentowych z polskim winem przygotowana przez naszego partnera “Wino Kultura”. On October 28th the Director General of the OIV, Federico Castellucci, presented the data available at this time of year concerning wine production. World wine production is rising considerably, taking into account the low vinified quantity produced in 2012 (258 Mhl). The vitivinicultural world has returned to 2006 production levels this year despite the persistent decline – by around 15,000 hectares in 2013 – of the global vineyard surface area, particularly in Italy and Spain. Outside Europe, the overall rate of growth for areas under vines planted in the southern hemisphere and in the United States has slowed for several harvests now. “With a loss of 300,000 hectares of vines compared with the year 2006, the 2013 harvest has been fairly significant thanks to a productivity which continues to increase despite the abrupt stop caused by adverse climate conditions in 2012″, the Director General of the OIV explained. According to the forecasts, the world should produce 281 million hectolitres of wine in 2013. In the European Union, “production (164 Mhl) may also be qualified as relatively high”, stated Mr Castellucci. Forecasts from the main European wine-producing countries indicate an increase, which is very significant in some cases, compared with the previous harvest. This is the case in Spain, where a 23% rise in production has been recorded, at more than 40 million hectolitres. In France and Portugal, the increase was 7% compared with 2012. Outside the EU, all the countries recorded significant growth in vinified production, with the United States producing 22 Mhl. There was also an increase in South America: Chile hit a new record at 12.8 Mhl and Argentina’s vinified harvest was 15 Mhl (+27%) after a poor year in 2012. New Zealand recorded a record level of production of 2.5 Mhl this year, while Australia could reach an estimated production of 13.5 Mhl. The International Organisation of Vine and Wine is currently looking for an employee in charge of methods of analysis. The deadline for application is October 31st 2013. Every year, the OIV Award Jury presents an Award to the best books published in the past two years, and which have been submitted by the authors or publishers. These awards are presented in one of the 10 categories specified by the Jury and relating to the Vine and Wine sector. Out of around thirty competing works, 13 represented countries, the OIV Award Jury, which met on 5 June 2013 in Bucharest, gave 10 Awards and 3 Special Mentions in 7 categories. The Awards by the Director General of the OIV will take place in December 2013. 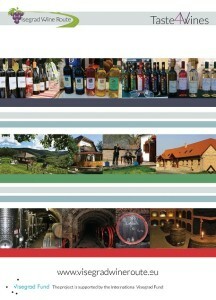 We're open to wineries from all participating countries - click here find out more. Proudly powered by WordPress Motyw: Twenty Ten.